Addiction Science 2018 welcomes attendees, presenters, and exhibitors from all over the world to London, UK. We are delighted to invite you all to attend and register for the “World Congress on Advances in Addiction Science and Medicine" which is going to be held during September 24-25, 2018, London, UK. Addiction Science 2018 has been designed in an interdisciplinary manner with a multitude of tracks to choose from every segment and provides you with a unique opportunity to meet up with peers from both industry and academia and establish a scientific network between them. We cordially invite all concerned people to come join us at our event and make it successful by your participation. 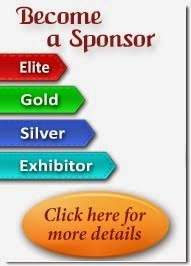 At PULSUS Group, It is our ideology to bring maximum exposure to our attendees, so we make sure the event is a blend which covers professionals such as Scholars, Students, Delegates, Researchers, Doctors, Scientists, Professors, Healthcare Industries, Psychiatrists from academia & industry making the Addiction Science 2018 conference a perfect platform. The conference will be organized around the Theme ‘Modern Migration Concerning Addiction Science Our goal is to deliver an outstanding program which covers the entire spectrum of research & innovations in Addiction Science and medicine care and share the cross-cultural experiences of various treatment procedures. Addiction Science 2018 is an annual meeting of Addiction Science and medicine as well as committees to discuss the future of the drug addiction related disorders in terms of collaboration, structures and organizational development. With members from around the world focused on learning about Drug addiction and its advances; this is your best opportunity to reach the largest assemblage of participants from the drug addiction Health community. Conduct presentations, distribute information, meet with current and potential scientists, make a splash with new discoveries in the Infertility treatment and diagnosis, and receive name recognition at this 2-day event. World-renowned speakers, the most recent techniques, developments, and the newest updates in drug addiction health,Addiction drugs and abuse, Causes and consequence, Reward of addiction, pharmacotherapy, rehabilitation and risk management, most commonly used addiction drugs, Phases of recovery, social support for addiction, self help for cure addiction drugs and abuse, Classification of addiction drugs, are hallmarks of this conference. 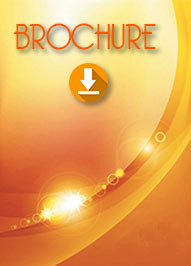 All accepted abstracts will be published in respective Supporting International Journals. Abstracts will be provided with Digital Object Identifier by Cross Ref.